Boys and girls love Scooby-Doo! 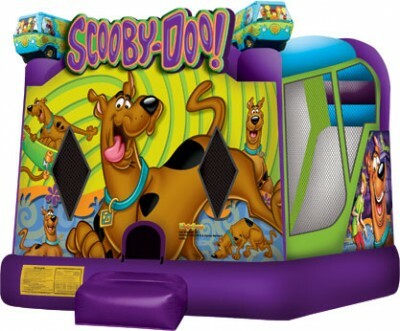 Our most popular Combo Jumping Castle comes with a slide and a basketball ring next to the huge jumping area. 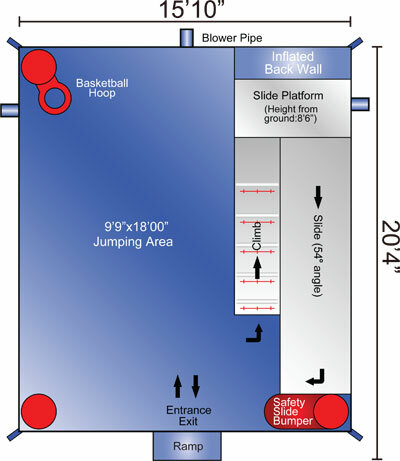 All of our Jumping Castles have roofs and are fully enclosed for your children's safety. Set up space required - 4.9m wide, 6.2m long, 4.5m high. Suitable for children up to 12 years of age.